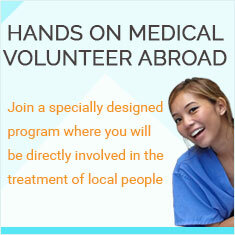 Interested in an affordable & hands on medical volunteer abroad program in Tanzania? Are you a medical student, doctor, nurse or other medical professional? Are you looking for opportunities to gain hands on medical experience? Or are you interested in sharing your medical experience with in impoverished communities? Then our Tanzania medical camp project is a perfect opportunity for you. Located on the East African Coast, Tanzania is visited by volunteers and travelers who dream of climbing Kilimanjaro or laying in one the white sandy beaches bathed by the pristine turquoise waters of the Zanzibar islands. The Serengeti National Park, Lake Manyara, and the volcanic Ngorongoro Crater are just a few more reasons to visit this naturally blessed country. There is something for everyone. Despite all its natural shrines and great diversity, Tanzania remains a poor developing country. A third of the households earn less than $1 per day, and 20% of the 45 million people live below "the poverty food line." This severe poverty leaves the elders, women, and children in very vulnerable positions. Without earning money and being able to feed themselves, many children, women, elders suffer from malnutrition and other treatable aliments. Many children never make it to adulthood and many others' lives are lost without ever having seen a doctor. Unfortunately, the government funded health programs are not enough to help the vast amount of poor, sick, and the dying Tanzanians. It's urgent that we step up and do something about it. The medical camp in Tanzania aims to offer basic medical and health care services to local people. This stand-alone medical camp caters to the needs of the locals who are lacking health care services. In this program, the locals visit the stand-alone medical camp and receive free medical treatment and healthcare information to help them live longer, healthier, and happier lives. Through this project, you will provide medical assistance and treat the local patients: the elders, women, disabled people and orphan children. During this medical volunteer trip, you will receive a practical and hands-on medical experience within the health care world abroad. You will impact the daily lives and futures of so many people in Tanzania. A local will doctor will lead the medical camp and the medical volunteering team. Your team leader will be a knowledgeable and experienced doctor who will be with you every step of this medical volunteering opportunity in Tanzania. Your team leader will give you information about local health issues, allocate patients to each volunteer, and deal with possible communication problems. Anyone with a medical background from medical students to experienced professionals can participate in the Tanzania medical volunteering program. This includes medical students, physicians, physician assistants, nurse practitioners, nurses, midwives, gynecologists, dentists, paramedics, EMTs, and physical therapists-just to name a few of the medical professionals that are needed in the health camps. Your medical volunteer experience in Tanzania starts with a comprehensive orientation. On your first day, you will join an orientation session at the Global Crossroad office where you will meet your team leader. The orientation session will start with an introduction to Tanzania, its culture, history, geography, politics, demographics, and contemporary issues. The second portion of the orientation is a thorough explanation of how the medical camp is run. Your team leader will explain to you where it is located, what type of patients you can expect, and the most common health conditions. You will also be briefed on your your duties, health and safety procedures, and must dos and must do nots while in Tanzania. The orientation will end with a Q&A session where you can ask any questions that you may have. The information shared during the orientation will help you to have a successful medical volunteering experience in Tanzania. If there is enough time, you will head to the medical camp to meet your future colleagues, locals, and leaders. 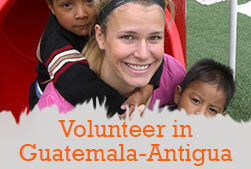 Depending on what happens that day, you may start your volunteer activities. Breakfast will be served at the volunteer house at 7 am. After, you will go to the medical camp. At 8 am, you will start setting up the medical camp. The preparation tasks vary from cleaning the medical camp to setting up the registration desk and the area for check-ups. When the medical camp opens at 9 am, you will examine and treat local elders, women, and children. This is the core of your medical volunteering work in Tanzania. We anticipate that patients will start to arrive at 9 am. These patients will have various diseases and aliments, like colds, ear infections, eyesight problems, skin conditions, and many others. From 9 am to 1 pm, you will be extremely busy discussing health problems, providing treatments, giving advises, and much more. Even though the medical camp's aim is to give basic medical treatments to the local people.,you can expect many villagers to come to the camp with more complex health issues. This will give you an opportunity to use your specialized medical skills. The medical camp will close around 1 pm. After that, you will go home, where a delicious lunch will be waiting for you. After lunch, you can discuss the next day's medical camp activities or explore. A local team will be available to help you at anytime. The medical camps take place from Monday to Friday. During the weekend, you will have free time to get out and explore Tanzania's villages, markets, and unique landmarks. If you need any help, just let us know. The same program repeats the next week. Important Notice: The sample itinerary above is just to give you a general idea of how we run the medical camp. Prior to your departure, we will send you a final customized itinerary of your medical volunteer trip in Tanzania. In Tanzania, you will stay in our volunteer house. The volunteer house is a type of hostel set up exclusively for international volunteers. It's a large house with many bedrooms - one of which you will share with one same gender volunteer - and shared community areas like rooms with a television, a kitchen, bathrooms with running water, and "Western-style" toilets. The house is in a clean and safe part of town with Internet cafes, grocery shops, local restaurants, and bus stops nearby. You will also be served three typical Tanzanian meals per day. The typical Tanzanian meals include wali (rice), ugali (maize porridge), chapati (a kind of bread), nyama choma (grilled meat), mshikaki (marinated beef), samaki (fish), pilau, biriyani, and ndizi-nyama (plantains with meat). Global Crossroad has been running its volunteer program in Tanzania since 2003. We have a very strong team of country coordinators and local staff. During your participation in this medical volunteering program in Tanzania, our local team will give you all of the support that you might need. They will also provide all the logistical support such as transportation to and from the airport and to and from the medical camp. All your needs will be catered to so that you can relax and focus on your medical volunteering tasks. Once the Tanzania medical volunteer program finishes, you can stay longer in the country. there are many exploration and volunteering opportunities waiting for you. You can teach English, work with orphans or, simply, get hit the road and fall in love with a beautiful mountain, a gorgeous natural park of a paradisiac beach. We will be happy to help you weighing your options and deciding what to do. The medical camp will move throughout schools, orphanages, clubs, and help centers around Moshi. Moshi is a municipality with 184.292 inhabitants and 59 square kilometers in the Kilimanjaro Region. Your medical volunteer work in Tanzania will benefit those who cannot pay for medical treatments: the elders, women, and children in the rural communities. The essential health care services and treatments provided by the medical volunteer team are free. Your volunteer medical experience in Tanzania will last one or two weeks. It's entirely up to you, on your time, goals and availability how long you want to volunteer for. �Do not perform any surgeries or similar procedures. The Tanzania volunteering medical program aims to give basic medical treatments to those who need them but cannot afford them. However, every patient will need a different type of medical assistance and sometimes they will suffer with a certain condition that will require your expertise. Of course you can use your medical expertise and specialty, if needed. However, due to liability issues, our own medical limitations, and inability to follow up, we ask all volunteers not to perform surgeries. Do I need to take equipment and supplies to Tanzania? It helps. We ask all participants who want to help in this medical volunteering program in Tanzania to bring medicines and medical supplies We will be happy to give you a list of what is needed the most in the area.